Never one to rest on its laurels, Club Med announced expansion plans at its Punta Cana and Columbus Isle Bahamas properties. The announcements were made during a press conference at Club Med Yucatan in Cancun, where the company officially unveiled 60 new Family Rooms; a new a la carte restaurant, Estancia; a new Petit Club for two- and three-year-olds; a renovated Las Cazuelas restaurant; and a renovated “fusion” Maya Lounge that functions as a bar, lounge, nightclub and meetings space. At Club Med’s Punta Cana resort in the Dominican Republic, the company is creating an adult’s-only Zen and wellness area that will include 60 deluxe spa rooms, said Xavier Mufraggi, Club Med’s CEO for North America. The expansion will include Zen pools, a wellness bar, Zen workout area, L’Occitane Spa and adults-only beach area. The new facilities are expected to debut in winter of 2016. Mufraggi noted that Club Med has been accommodating increasing numbers of couples at the property, and that parents are looking for adult experiences while their kids are involved in activities at the resort’s kids’ clubs. At Club Med Columbus Isle, the company has entered into a partnership with a Canadian firm to launch a condominium project with 60 deluxe oceanfront rooms that are scheduled to come online in summer 2015. The units will be part of Club Med’s inventory when they are not being used by their owners five to six weeks out of the year, said Patrick Mitchell, Club Med’s vice president of sales. The property, which closed Aug. 1 for renovations, is also transforming to its restaurants and main pool, and adding a L’Occitane spa. 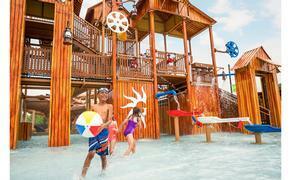 The new enhancements will be unveiled when Columbus Isle reopens on Nov. 1. Romantic poolside dining elements are also being added to the resort, Mitchell said. Mitchell said the Columbus Isle projects represent an investment of $40 million. Mufraggi noted that Club Med, which has been in business for 65 years, has witnessed the all-inclusive market dramatically transform over the past 10 years. “It used to be a niche but is now full-scale category for the hospitality business,” he said. The popularity of the segment is evidenced in such well-established chains as Marriott, Hilton and Hyatt entering the field. “It shows that they know that this category is going to explode,” Mufraggi said. For its part, Club Med has begun attracting a much more upscale clientele. “In the U.S., Canada and Mexico, 80 percent of our clients are affluent or very affluent, which was not the case 10 years ago,” he said. As a result, the all-inclusive segment is not just about value for money, but also convenience, Mufraggi said. “People are starting to understand that the main insight of all inclusives is convenience. They want to make sure everything is going to perfect and convenient,” he said. 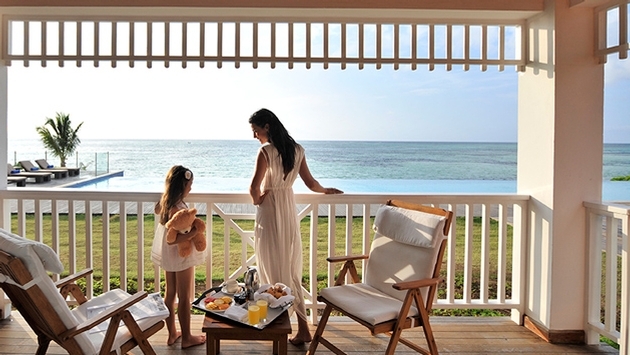 Another shift for Club Med is its evolution to become family-centric vacation option. “We’re now 70 percent families, 20 percent couples and only 10 percent singles,” Mufraggi said. Club Med’s push to attract upscale families has paid off, Mufraggi said, and is evidenced in the company’s bright financial picture. “It’s very exciting to see that transformation in growth and profits,” he said. Through 2020, Club Med will “aggressively work on opening new resorts,” Mufraggi said. A priority, he added, is to open a ski resort in North America, which is something that may be announced by the end of the year.